Breaststroke swimmer of the Iwatobi High School swimming team. Haruka's kouhai and a first year. He is a straight-forward person and his actions are faster than his words. 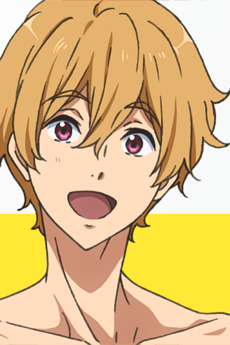 He admires Haruka's swimming; it's the reason for him to start swimming. He enters Iwatobi High School because Haruka is there.